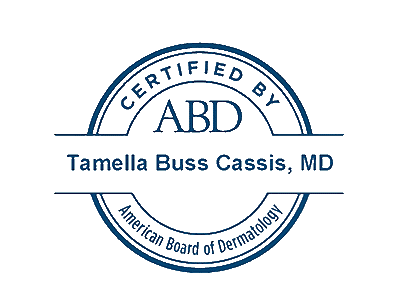 Cassis Dermatology & Aesthetics Center is the comprehensive medical, cosmetic and surgical dermatology practice in Louisville, Kentucky under the direction of board certified dermatologist Tami B. Cassis, M.D. Cassis Dermatology & Aesthetics Center provides high-quality skin care services using the most advanced techniques and state-of-the-art technology, without sacrificing care for patients. Every treatment is customized to fit each patient’s needs. Dr. Cassis treats skin cancers, moles, skin growths and chronic skin conditions such as eczema, seborrheic dermatitis, psoriasis, and rosacea, as well as acne, age spots/brown spots, sun damage and skin discoloration. We offer a wide array of laser procedures, including facial and leg (varicose or “spider”) vein removal (sclerotherapy) and facial rejuvenation. Our cosmetic dermatology services include BOTOX® Cosmetic, dermal fillers, chemical peels, and IPL treatments. To schedule an appointment or to learn more about our practice and services, please visit our contact page or call 502.326.8588.